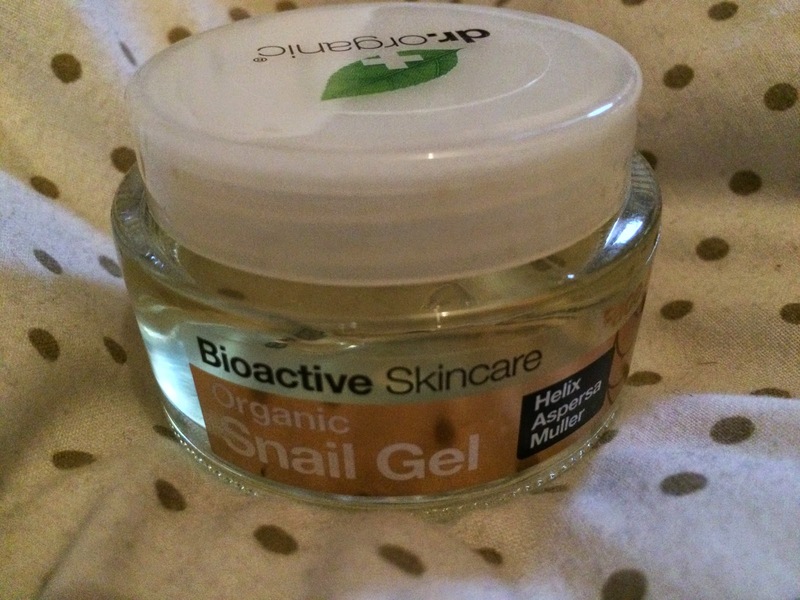 So, most people are a bit squeamish when they first hear about snail gel. I was too, I pulled a face and was pretty certain I'd never try it. But I obviously did, hence why I'm bringing this review to you. I have been using this product since just before Christmas, so around 4 months. I use it on my damp face when I get out of the shower in the morning, and before I go to bed at night (underneath moisturiser). I really enjoy using this product. It's not heavy at all, but it's nourishing and hydrating. The scent is slightly citrus-sy, but it has a bit of depth to it. I can't really put my finger on what the other scent is but it contains lots of essential oils..
Snail gel isn't gross at all, and it's ethical too so that's a plus. I would recommend that you go and try this out. I can't really comment on any long-term effects of using the product as I've only used it for a few months. Dr Organic have also released other Snail products such as an eye cream, face mask and hand cream too! I have been using the eye cream so I will post a full review of that one soon.